Today’s rosé comes to us from Spain as we continue on in our month long ’ June- The Month of Pinks’ feature. Though I would have been excited to see a Spanish rosé made from a play of Tempranillo grapes, I thought this Syrah based rosé could perhaps pass. As usual with our pinks, we’ll start off by observing the colour. The most obvious thing here is that this rosé is not as soft in colour, as those we’ve covered thus far, this month. If you weren’t reading the label, you would have thought you had stumbled into a bottle of Pinot Noir, but just a touch lighter. Some of you may be arguing at this point and stating “it’s a rosé made from the Syrah varietal, and that’s why it is so dark”, but that’s not necessarily true. We’ve had lovely coloured rosé’s (meaning the colour was more rosé than red) made from Cabernet, and it could be argued that this varietal is just as dark as a Syrah. Nonetheless, the vintner has labeled it a rosé, so we’ll continue on in that light. So, to wrap up our thoughts on colour; we weren’t as excited, and that was primarily because we had our own expectation for rosé colour treatment, but with that being said, colour is only one piece of the puzzle and not enough to form an entire opinion. When nosing this rosé I did pick up delightful hints of strawberry, raspberry and cherry. On the palate, however, we got the sense that this wine lacked a healthy balance between the acidity level and the amount of tannins still present in the rosé making process. One of our tasters used the word “flat” to describe their experience. To Viña Aljibes’ credit though, I will say that I tried pairing this rosé with dark chocolate and that immediately produced a different and pleasing take to the wine, but it still wasn’t enough for me to hang my hat on. 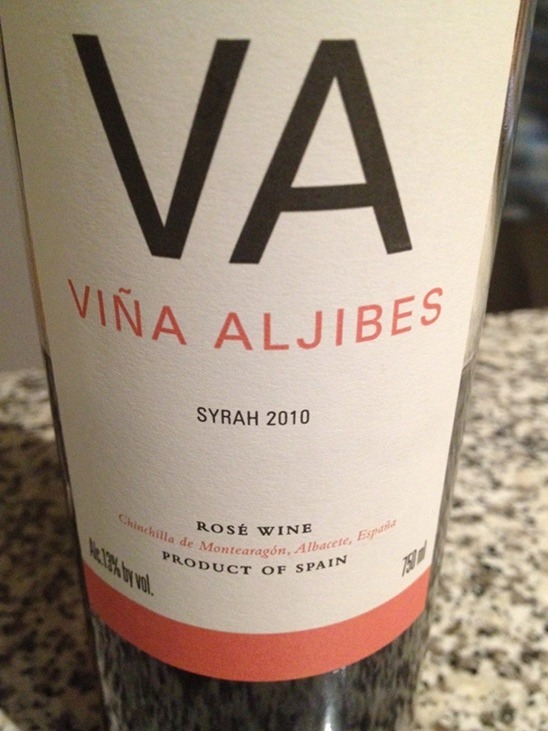 The Viña Aljibes Syrah retails at the LCBO for $12.45.